TBSS&B will offer a $50 trip credit to anyone purchasing or renewing a FULL Ikon pass or FULL Epic pass through us. The club will also offer a $30.00 trip credit to anyone purchasing or renewing an Ikon BASE pass or LOCAL Epic pass (season pass with restrictions) from us. If you did not purchase your original pass through us, you can still renew through us and get a trip credit. 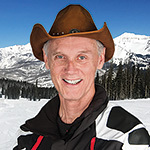 These trip credits are only valid on a TBSS&B club trip for which Ski.com is our tour operator (ask the trip leader). A-1 Express and TBSSB have established a partnership to bring the lowest price for either covered or uncovered long-term parking with a very fast transport to airport. Please use our partner for your airport parking. Get on the Wait List for these Trips! The full schedule is not firm yet. The Florida Ski Council (FSC) trips are firm and have Trip Leaders (TL). All trips are Saturday-Saturday, unless noted (ddd). The Trip Committee intends to add 9 more trips to this list. France, Steamboat, Beaver Creek, Jackson Hole, Mt. Bachelor, Revelstoke/Kicking Horse. We are not yet accepting deposits or trip applications for any except the 3 FSC trips. There are now two openings on the September 2019 France Bike and Barge trip. Call Joe Bayliss at 727-480-7311. Our club just completed another great ski season with a ton of wonderful and wonder-filled trips. Many of us made new friends and had a great time with old friends. Although you may be sad that our 2018-2019 ski season is over, we have great news! We’re already making plans for another awesome season, and it’s well on the way to becoming a reality. See the preliminary schedule here on our website for more on that. Thank you to the people who travelled with us for making this such a fun season. I also want to thank the Board Members, the Trip Committee, and the Trip Leaders for all the efforts they contributed to making this another successful year. On that note, congratulations are in order for the newly elected Board Members whose 2019-2020 terms begin on May 1st. Scroll down and click on Club Leadership below (after May 1) to see who’s serving in each position. Visit our website often and make sure you’re signed up for our e-newsletter, The Sitzmark, to get Club news and learn about social events. Please plan to come to the Club Parties. The next one will be in August. We will publish all the party dates at the bottom of this web page as soon as we’re able. To read the TBSSB Bylaws or Rules, click the links below under Club Information. Are you a current member of another FSC club? If so, ask your trip leader about RECIPROCITY!